Men's Lacrosse takes on The College at Brockport at 4:00 pm in Yunevich Stadium. Merrill Field at Yunevich Stadium is the home of the Saxons’ varsity football, lacrosse, and soccer teams, and is also used for intramural sports such as soccer and flag football. 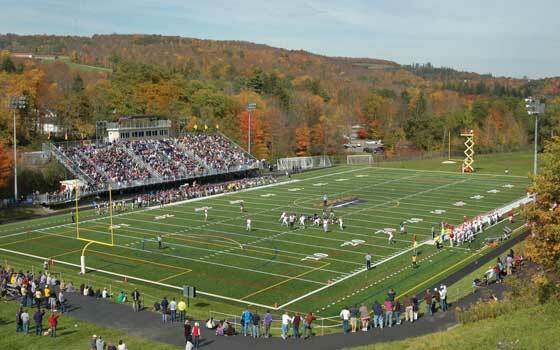 Combining the rosters of those teams with students participating in physical education classes and intramural teams, well over 400 Alfred University students use Merrill Field each year.